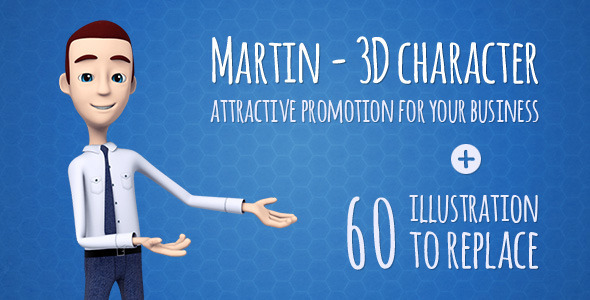 Use this project to start successful promotions your company, products, services or yourself! Good one for explaining a problem or presentation for your business. Prepared and ready to be filled with your content, quickly and easy – create your own unique story! The character is on a separate layer. At the moment, a template does not have a version with a woman or with a different skin color. But we’re working on it. You need to have Adobe After Effects CS4, CS5, CS5.5 or CS6 to edit this project file. The software is not included in this project file.